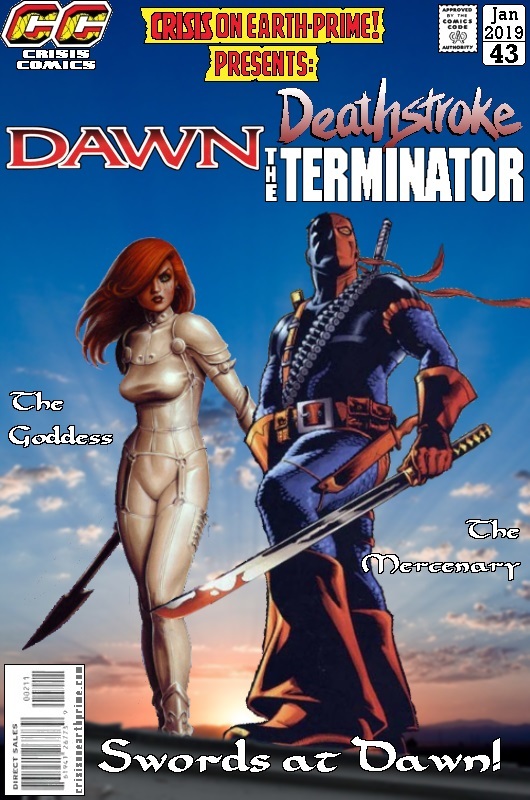 Posted on Wednesday, January 16, 2019 Saturday, December 22, 2018 by GaryPosted in Mash-UpTagged Dawn, Deathstroke. Well if nothing else, the art would be REALLY pretty to look at. I’m not sure what the angle/story would on this. Wade’s hired to capture Dawn for one of her many enemies? Something like that? And they’d end up teaming up and defeating said enemy!